The Ohio Grand Prix Series is a USATF Ohio Association sponsored series of track events held for parcipating track & field clubs and unattached athletes intereseted in competing against the collective of other participating clubs and unattached athletes with the expressed goal of being ranked among the top of the competition at the conclusion of the series. 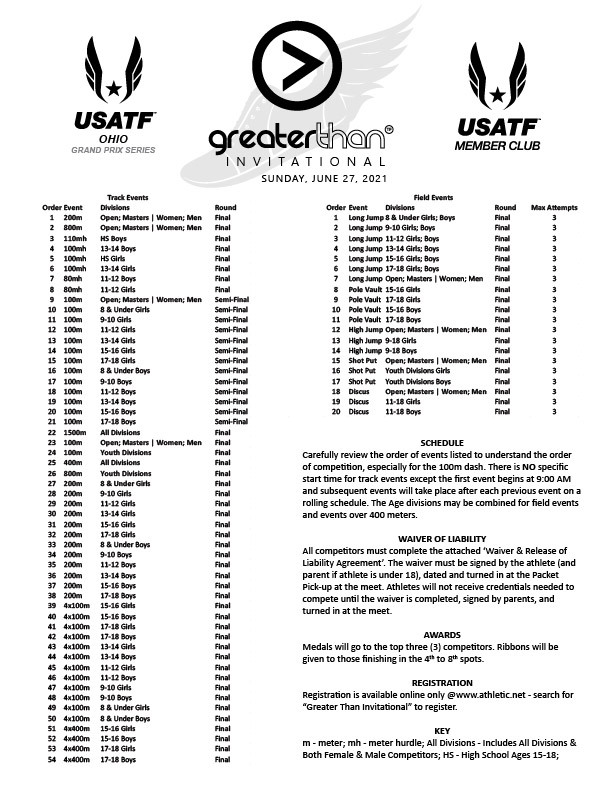 The Grand Prix Series is made up of six (6) track & field events held over the course of the summer track season and each event is sponsored by a participating USATF Ohio Member Club. Points are earned by competitors at each track event in their respective age division and by participating clubs which are then tallied at the end of the summer track season to determine overall placement. 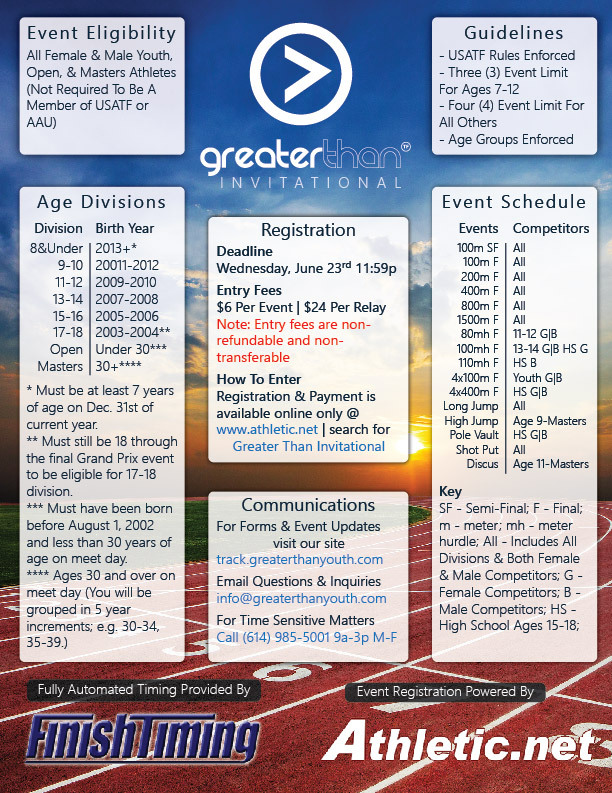 The Greater Than Invitational is the first of the 2018 Grand Prix Series meets and is being sponsored by the Greater Than Track & Field Club. 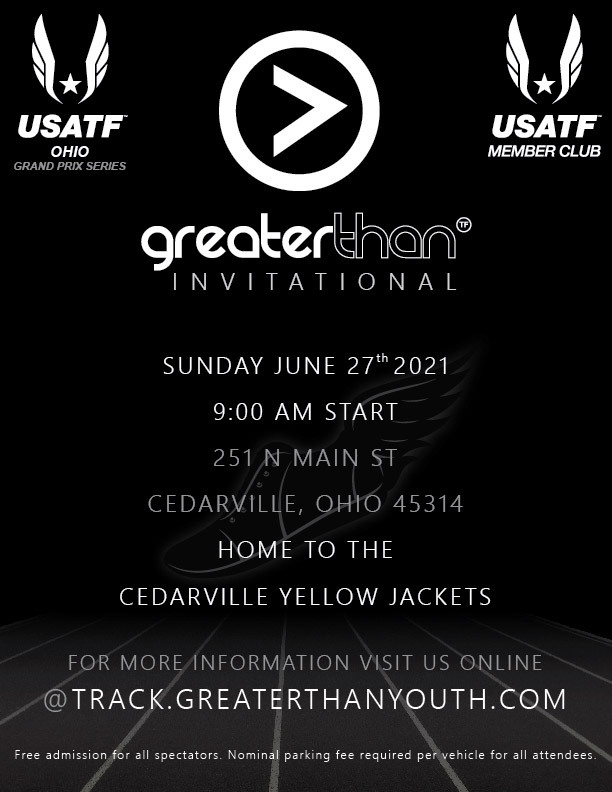 This is an official USATF Sanctioned Event. This event will encompass greater than 70 divisional events with competitors ranging in age from 7 to 40+. 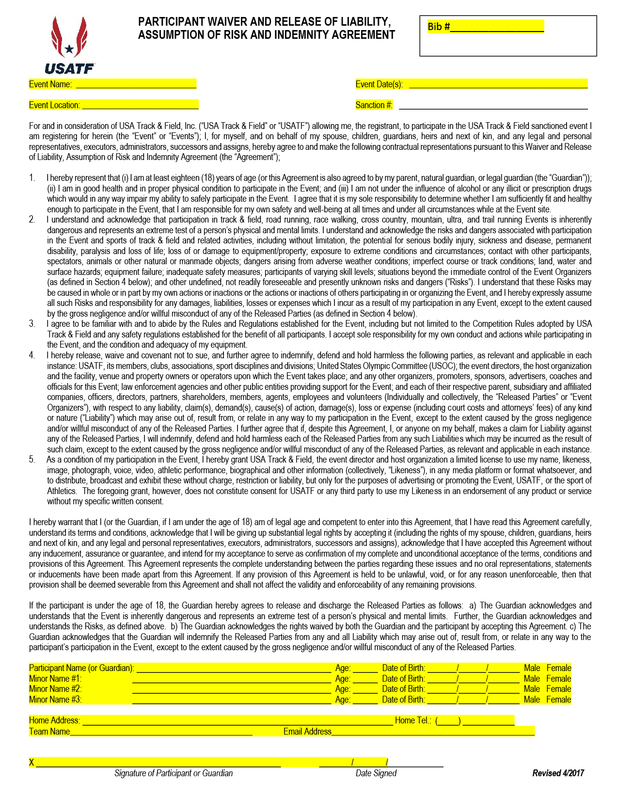 Competitors will compete for medals, ribbons, points, and the opportunity to increase their respective Personal Record (PR) in their events and have it officially recorded with USATF.